A total of 7 national selection shows is taking place tonight. Among them four countries will be holding their national finals and three more semi final rounds. Namely Denmark,Ukraine,Hungary and Lithuania will be holding their final shows while Sweden its 4th semi final, Portugal its 2nd semi final and Georgia is 5th Live show of Georgian idol. Let go and see one by one the deatails of today’s national final schedule. A total of 800 entries had the Dannish national broadcaster received this year for the country’s national final, Dansk Melodi Grand Prix, that is going to take place tonight. From the initial submissions 10 acts made it to today’s final show and will be competing in Box Arena for the right to represent the country in Tel Aviv next May . Hosts of the show will be Johannes Nymark and Kristian Gintberg. Jasmin Gabay has taking part in the competition in the past as a backing vocalist of Anja in 2017 and the song Where I Am. The winner will be determined in two rounds of voting. During the first round public and jury voting will decide which three acts will qualify to the second superfinal round. In the second stage of voting the three acts will go again in new voting process by the jury and public from zero base and one of them will be Denmark’s Eurovision 2019 representative. After two second semi final rounds, during which 18 acts competed for a spot in the final, Vidbir 2019, today the final show will determine Ukraine’s Eurovision 2019 entry. The show will be presented to us by Sergey Pritula . Six acts will take the stage tonight and give the battle for the right to represent the country in Tel Aviv. Among the contestants is the group KAZKA, which had participated in last year’s Vidbir with the song Dyva, without qualifying to the final. One more comeback for Brunettes Shoot Blondes who had competed in nationa final of 2016 with their entry Every Monday. The resutls will come out by the public votes (50%) and the jury votes (50%). The jury consists of Eugene Filatov (music producer and one of the founders of the group Onuka), Jamala (Eurovision 2016 winner) and Andreiy Danilko (Ukraine 2007). After three qualifying heats and two semi final rounds, it’s time for Hungary to select its Eurovision 2019 representative throught tonight’s final show of A Dal 2019. Host of the show will be Freddie (Hungary 2016) and Dallos-Nyers Boglárka. Eight acts will compete in this evening’s final show. The winner will be determined after two rounds of voting . In the first phase the jury of the show (Féro Nagy, Lilla Vincze, Misi Mező and Miklós Both) will choose the 4 candidates that will qualify in the second round of the final. During the second round the public vote exclusively will decide the country’s Eurovision 2019 act. The final show of A Dal 2019 will begin at 19:30 CET and you can watch it HERE. After 4 qualifying rounds, 2 semi finals and a total of 49 candidates, Lithuania has reached its final of Eurovizija. Hosts of the show will be Giedrius Masalskis and Gabrielė Martirosianaitė while the show will be aired on national channel of LRT. The final of Eurovizija 2019 starts at 20:00 CET and will be able to watch it HERE . Sweden’s national selection process continues to unfold with the 4th semi final round of Melodifestivalen 2019. Today’s show will take place at Sparbanken Lidköping Arena in the city of Lidköping, and will be presented to us by Marika Carlsson, Eric Saade, Kodjo Akolor and Sara Dawn Finer. In this evening’s semi final another set of 7 acts will compete for two spots directly to the final and two more spots in the second chance semi final heat. 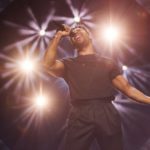 Among the competing acts are former “Melodifestivalen” participants Anton Hagman (2017), Lisa Ajax (2016 and 2017), John Lundvik (2018) and Ann-Louise Hanson, who has entered the Swedish competition 13 times so far. Arvingarna will try to represent Sweden for the second time at the Eurovision Song Contest as they represented Sweden back in 1993 with their song “Eloise”, finishing in the 7th position. The Swedish dansband competed in the Swedish “Melodifestivalen” in 1993, 1995, 1999 and 2002. The voting consists of two rounds in which only public voting determines the outcome. The first 5 top acts in the first round of votes move on to ta second round of voting. The first two qualify to the final direclty, while the 3rd and 4th qualify to the second chance semi final show. Portugal national selection process for Eurovision 2019 continues tonight with the 2nd semi final of Festival da Cançao 2019. Hosts of the show this evening will be José Carlos Malato and Jorge Gabriel. Festival da Cançao 2019, consists of three show (two semi finals and one final) and total of 16 acts are comepting this year. This evening we will watch the second set of 8 contestants compete in the 2nd semi final round. From this evening’s 8 contestants only 4 will make it to the final. The result will be determined by public and jury voting equally. 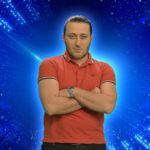 This evening will take place the 5th live show of the Georgian Idol, the show through which Georgia has decided to determine this year’s Eurovision act. In the first show of the competition we saw 10 best acts that had been selected, after auditions all over the country by a jury panel consisted of Stephane Mgebrishvili (Georgia 2009), Natia Todua (winner of The Voice Germany), Tinatin Berdzenishvili (Director of media of GPB) and Zaza Shengelia (CEO of Bravo Records). From these 5 again 1 more will be eliminated . The result will be determined by votes coming from the national and International audience through televoting and Facebook. « Germany: The duo “Sisters” to fly the flag in Tel Aviv!